Ha ha. 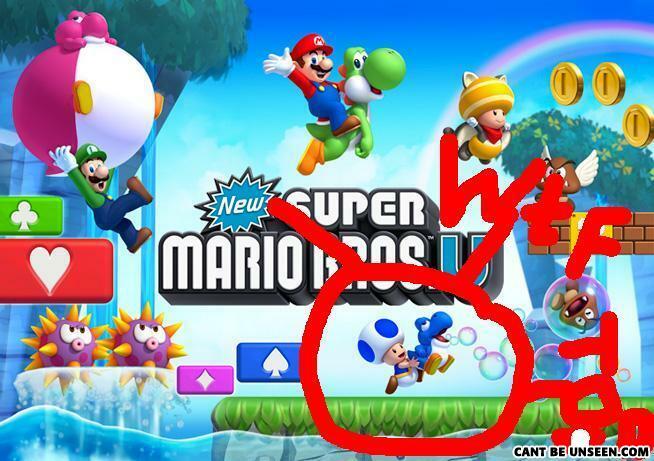 look closer at blue toad and blue yoshi. Suprise buttsex. The fish dies from a heart attack because of the rigorous that took place.